Every business has employees. And most employees get the munchies throughout the day. If you’re an entrepreneur looking to start your own business, there are many small business ideas worth your consideration — but if you’re looking for the greatest flexibility (like only working on weekends), then a vending machine business might be for you! 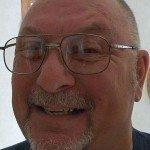 A vending business is also a great option as an encore career or as a way to make money during your retirement. My sister operates a vending machine business in a local government building. It’s not a huge money maker, but her investment is small and she only drops by once a week or so to make sure the vending machines are full. For spending a couple hours a week running to Sam’s Club for product and filling up her machines, she reaps the benefit of being in business for herself. Even though it’s only part time, the tax benefits help her save money. Every business has employees and customers. Both look for food and beverages when they’re out & about, between activities, or waiting for a friend. 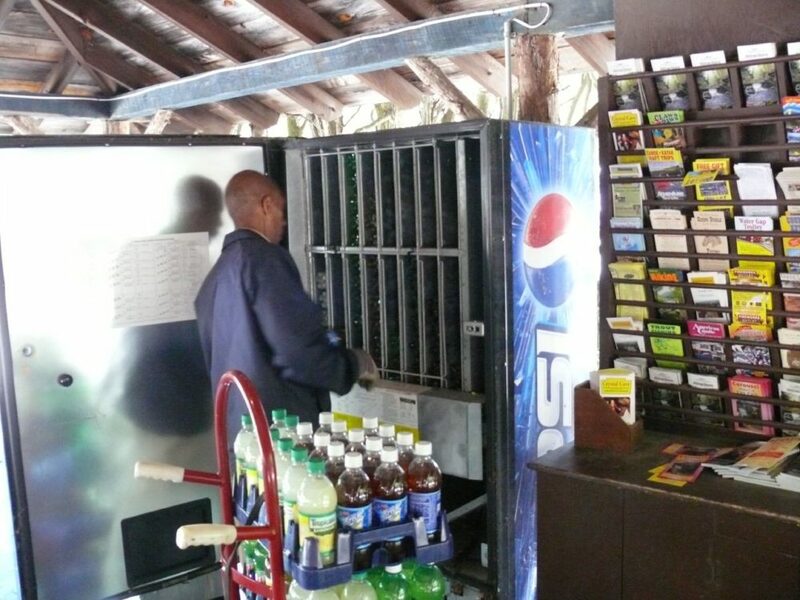 So wherever there’s a business, there tends to be a huge reliance on vending machines. The good part: Once you put products in the machine, you can simply drop by on your own time schedule to refill the machine. The bad part: An empty machine will put an end to your vending business real quick! People will start complaining if there’s nothing left in the machine. So flexibility definitely adds to the allure of owning a vending machine business — just don’t get lazy. The secret to success with a vending business is to keep your machines full, without anyone even knowing you were there. Every time a new office opens in town, you have the opportunity to line up new locations for your vending machines. Even places that only have a few employees still need snacks and drinks. It’s important to do some research. 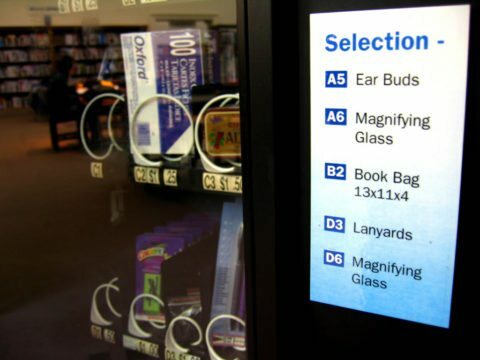 Consider the places where you’ve purchased from a vending machine recently and why. Were you stuck waiting for a doctor, needed something to drink, but you couldn’t leave the office building? 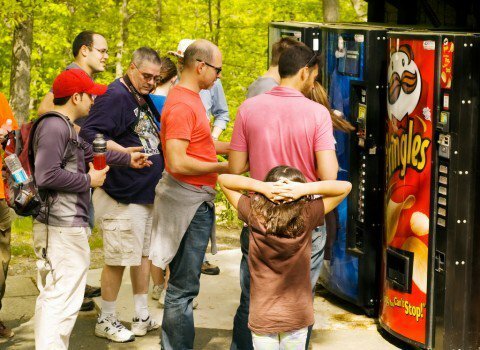 A wise vending machine operator will scope out areas with long wait-times and a somewhat “captive” audience. You should definitely contact establishments long before their grand opening. That way, you can secure a place for a few vending machines (before other vendors get to them), and you’ll be able to develop a good relationship with the landlord or business owner. Sam’s Club sells vending machines for almost any type of product. The best part: you can buy the items to put inside your vending machine in bulk right there as well! The truth is Sam’s Club makes setting up a vending business so simple that almost anyone can do it. Unlike door-to-door sales, where you must face an unknown prospect and try to convince them to buy your product, a vending business removes the direct contact with customers. By keeping the machines clean and full of fresh product you may never have contact with the actual consumer. You simply restock and empty the money out of the coin box on a regular basis — that’s it! People won’t get the items they’ve paid for. They’ll get mad. And if it happens too frequently, you’ll get called and have to deal with irate customers. People will get too many items at a time. 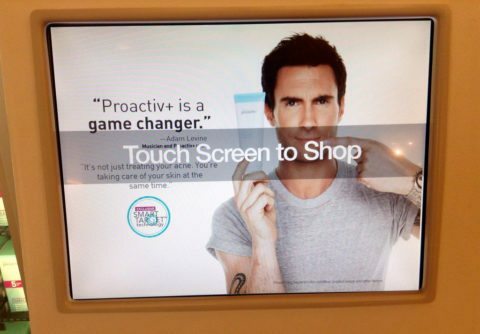 The customers will be happy, but your profits will dwindle. Whether you’re just looking for a way to pick up a few extra bucks to help send Junior to college, or if the current economy has got you scrambling to keep up, a vending machine business might be that alternate source of income that you’re looking for! Here’s what you need to know about getting a vending business license in any state. Can You Really Make Money With Vending Machines?